Last month, a handful of us from 'operations' attended the AWS Summit to keep up to date with what is going on in the Amazon Web Services world. 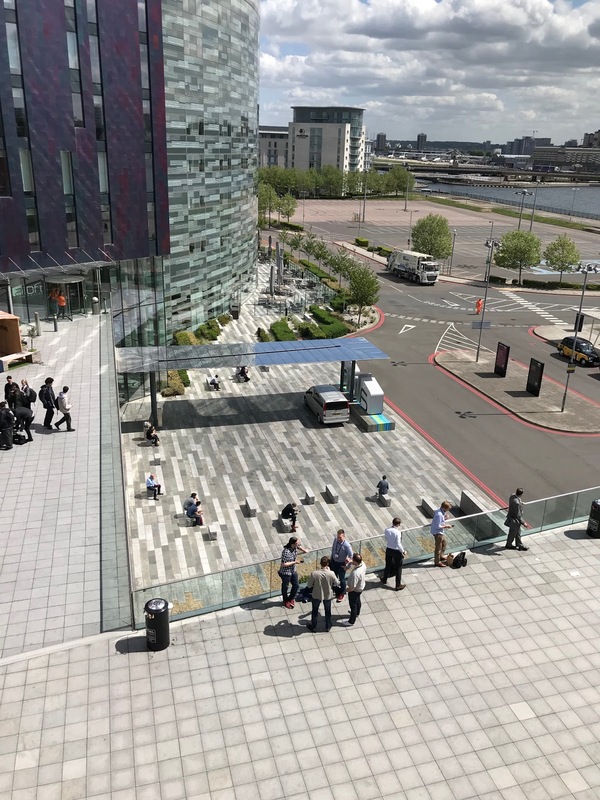 We've shared our reflections in this Blog and linked through to videos or slides of the sessions where we can. 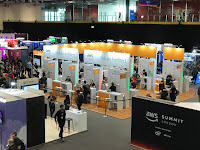 What is the AWS Summit? Amazon run a series of global events in major cities around the world getting to each one every couple of years; 2018 was London's turn. Amazon Web Services (AWS) is a cloud hosted computing platform, that Astun use for pretty much everything. Our own cloud products and services such as iShare in the Cloud, Astun Data Services, Geonetwork / INSPIRE are all hosted there. Even if what you use from us is exclusively deployed on your own premises, all of software development and most of our internal IT is done in the AWS environment. It is critical to our business. If you think that we are putting all our eggs in one basket, it is worth remembering that AWS is a $22 billion p.a. business underpinning masses of on-line services in every sector you can imagine whether that is government, automotive, healthcare, banking, insurance, media / broadcasting, travel, transport, meteorological forecasting, energy .. even the odd bit of online shopping. As baskets go (forgive the pun), we think it's a good one. (Do Americans say "all our eggs in one cart?"). Anyhow, the AWS Summit is how Amazon keep this community up to date with all the latest technologies and services they are developing. Perhaps it is little surprise that 12,000 people attended it. So what did we learn? 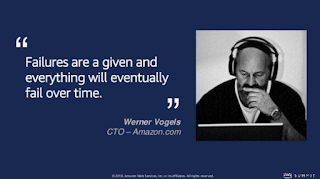 The majority of the keynote was delivered by Amazon's CTO and deputy vice president Werner Vogels - right hand man to Jeff Bezos. 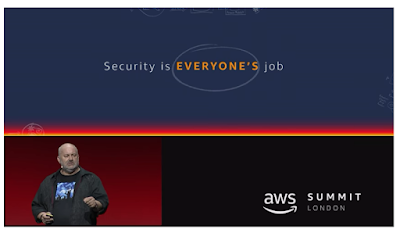 The breadth of his knowledge and vision is enormous; perhaps the understatement of his keynote was that the scope of AWS services is now 'extensive'. 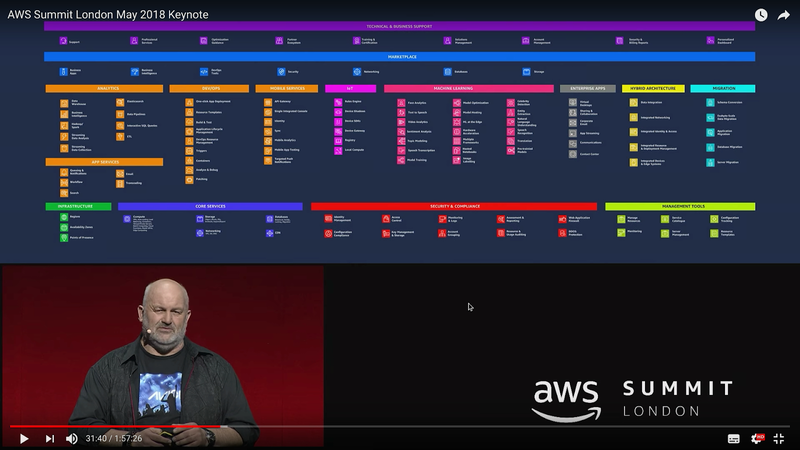 His keynote essentially covered the evolution of the AWS platform touching on architectures (virtualisation, serverless, containers etc), processes & tools, (continuous development and integration), security (which is 'everyone's responsibility'), databases ('still '90's tech except for Amazon Aurora); artificial intelligence, machine learning and more. With other keynote contributors being the UK Amazon MD and a handful of high profile customers, it was a good session but at 2 hours long, perhaps a little overwhelming for us mere mortals. After the keynote, the Astun team all went off into different sessions. Here are a few of our own individual reflections. I generally went for the 'technical-lite' sessions so as not to feel overwhelmed beyond the introduction slides - besides my brighter colleagues (see below) were on hand to cover the technical 'deep dives'. One of the interesting themes that came across for me was the Amazon culture. 'Put the customer first and work back from there' is their #1 mantra, with one talk suggesting that they write the press release, then the FAQs, then the user manual, before writing the first line of code - an interesting idea! 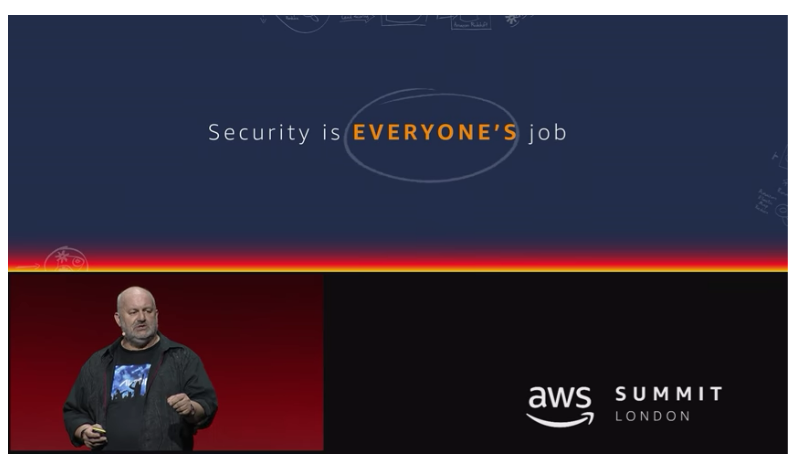 The AWS products and services (of which over 1000 were released last year) are certainly customer focussed - AWS customers being the ‘builders’ (like Astun) developing services on AWS. However, I was left wondering whether Amazon retail take that mantra to an extreme - put the customer first even if that is at the cost of the supply chain! Other interesting sessions on the Amazon culture touched upon their leadership principles, “have backbone, disagree and commit” being my favourite! On the customer presentation side, the talk from Ocado on their integration with Alexa was the most entertaining session of the day because of the wit and delivery style of the presenter. I’d encourage anyone to watch it online. As Amazon see it, Voice is simply the logical progression of User Interface design (desktop -> web -> mobile -> voice). diagnosis in healthcare - essentially trusting a computer to do a GP’s job in diagnosis, was both awe-inspiring and scary in equal measure, but with potentially global implications given the millions of people in developing countries with limited access to healthcare. Much like Dan (above) I created my schedule for the day based on a range of topics covered at a high level that we could likely implement at Astun Technology in the future. I wanted to get a feel for how AWS was being used today, and what direction Amazon was headed. This broad approach would give me a range of topics that I could research in my own time, maximising the value I got from the day, all while keeping my brain awake. 3D GIS is not a new topic, but it is certainly becoming more prolific as our ability to use this data and process/analyse it to gain meaningful outcomes is growing. The challenge with the consumption of 3D data is the somewhat obvious limitation of our 2D computer monitors, so it’s not long before you will stumble upon 3D visualisation methods using virtual (VR) and augmented reality (AR) to give true context to 3D data. This was my inspiration for attending ‘Creating and publishing AR and VR Apps with Amazon Sumerian’ by Ben Moore (the lead product manager of Sumerian) as the first talk I attended at the AWS Summit. In short, as Ben explains it, Sumerian is a tool to help you create 3D, AR, and VR applications with a web-based editor. The web-based editor is intuitive and does not require any prior programming or 3D graphics experience, but more crucially, allows users to publish these applications across multiple platforms from VR headsets, to more traditional platforms such as mobile devices and laptop computers. 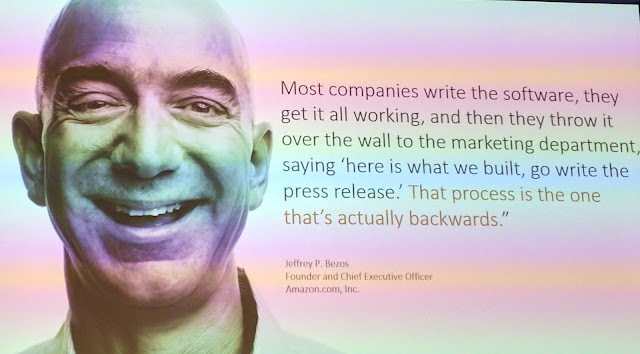 Amazon have simplified the process, removing not only the data crunching hardware, but by removing all barriers to entry, from separate development streams for multiple platforms, to the aforementioned programming and 3D graphics experience. Thanks to Sumerian we will see more AR and VR experiences in future across more diverse industries and applications, including the location services and mapping industries. Practiced’ by Adrian Hornsby, Technical Evangelist at AWS. Apart from the catchy title, what drew me to this talk was the fact that testing is a large part of what we do at Astun technology. As a project manager, user acceptance testing (UAT) is something that I oversee on most of the customer projects we deliver, albeit on quite a small scale, I was pleased to see examples of this working at a larger scale. Adrian’s view on testing was that a system should not only be pushed to breaking point, but that we should also learn, and train for, what to do when it breaks. This practice was compared to a fire drill, by practicing what we should do in a high-stress situation, we are better equipped to deal with those situations when they become a reality. Adrian also spoke about the difference between 99% availability (uptime) vs 99.9%, 99.99%, 99.999%, and 99.9999% beyond the numerical accuracy by converting these statistics into actual downtime, in minutes and seconds, with 99% leading to days of actual downtime the audience’s traditional standards were being challenged. Perhaps we needed to raise our standards, which gained everyone’s attention from the offset. Adrian’s advice on achieving the desired level of availability was attainable and practical, easy to comprehend and implement, with real and logical benefits. For example, if system X already has 99% availability, running a second system X in parallel (mirror) would give 99.99% availability, with a third system X increasing availablity to 99.9999%. Even with increased availablity, failure is inevitable, and will lead to downtime, how well we are trained to respond to these failures is within our control, and chaos engineering is the practice of simulating these disasters through planned experiments that will equip you to deal with them in reality. Adrian closed with an important note on company culture (a recuring theme with Amazon) and the importance of not blaming individuals when things go wrong, but to help them and let everyone learn from it. Registration was a slightly painful process for those who arrived at the conference early, due to some technical issues, but we were then able to bag some decent seats for the keynote session in the 4,000 capacity auditorium. During the keynote, Gavin Jackson, MD of AWS web services UK had some on stage 'chats' with some of the large customers of AWS, the most interesting of which being Jaguar Land Rover. Amazon CTO, Werner Vogels followed. His talk incuded reference to Amazon Aurora database support for 'Backtracking' (going back to any database transaction). A good portion of the talk was given over to Machine Learning, which was sold as being the 'next big thing'. A takeaway from Werners' session was related to GDPR - 'ENCRYPT EVERYTHING'. The next session I personally attended was the talk 'Multi Account strategy with Centrica and Hive'. 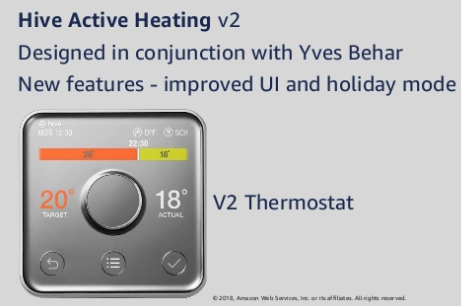 The talk centred on the development of the Hive Thermostat and the web services around it. This was not quite the talk I was expecting, it was not multi customer accounts but multiple AWS accounts. 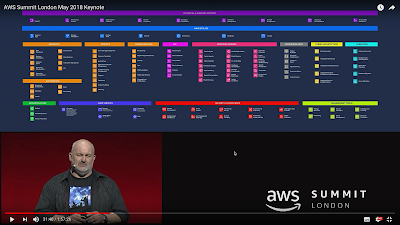 Having said that, it was useful to learn of the challenges that fellow users of AWS were having, and was interesting to see that they had also invested time in writing dashboards to help track AWS resources. Another session was 'Deep Dive into AWS Fargate' by Abby Fuller. This gave an overview of Fargate containers, but didn't go into as much depth as I had hoped. Not so much a deep dive as a quick snorkel. The highlight of the day had to be 'Developing on Alexa'. Voice command is being touted as the next way of communicating with computers, having evolved from text interfaces to gui to web, then mobile and now voice services. We were then given a very engaging presentation from the CTO of Ocado, who went into detail into some of the trials and tribulations of launching a voice service that would enable users to do their weekly shop. The day ended with ‘Networking Drinks’ where we networked amongst ourselves. Culture eats strategy for breakfast, by James Lambert (with guest inserts by Kay Church of the Met Office) that discussed the cultural changes needed to make the switch to the cloud work better than simply changing machines. Cloud Choices: Quantifying the cost and risk implications of cloud, by John Enoch of Amazon. This talk looked at why the failure rate of big IT projects is so high and proposed some possible fixes, such as making smaller changes in steps to achieve a goal. 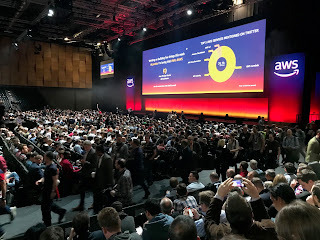 So all in all, it was a day well spent - a good opportunity for us to get away from our desks, raise our awareness on what is going on in the AWS world and remind ourselves of the colossal scale and momentum behind AWS operations. A final thought for this blog on that scale and momentum is this. At present Amazon e-commerce, whilst profitable in the US is offset by greater losses internationally. What that means is that on an annual basis, all of Amazon's operating income (i.e. profit) comes from AWS.